The Professional Services Council has announced its board of directors and executive committee elected new members and re-elected existing members during PSC’s board of directors annual membership meeting. 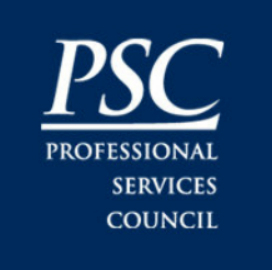 “PSC is excited to welcome our new and returning members to the Board of Directors, and we looking forward to the leadership they will provide to help PSC continue to be the premiere association for federal government contractors,” David Berteau, PSC president and CEO and a 2019 Wash100 winner, said in a statement released Jan. 16. 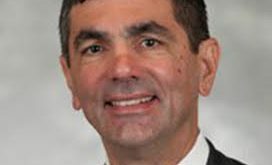 Venkatapathi Puvvada, president of Unisys Federal, will serve as chair of the PSC Board of Directors for a second year after replacing John Goodman. Roger Krone, chief executive officer for Leidos, will also continue as the vice chair. In addition to Puvvada and Krone, another 14 PSC executives were elected to serve with the committee in 2019. Ken Asbury, president of CACI, Bill Vantine, the president and CEO of Systems Planning and Analysis and Maria Proestou, president and CEO of Delta Resources are just a few of the members to serve on the committee in 2019. Kathy Albarado of HeilosHR, Threase Baker of ABBTECH, Lynn Ann Casey of Arc Aspicio, Mac Curtis of Perspecta, Sherean Miller of FMP and Santiago Sedaca of Palladium were elected as new members to serve three-year terms on the Board of Directors. Fifteen existing members were re-elected under new three-year terms as well. During the annual meeting, PSC also presented Outstanding Leadership Awards to Jean-Marie Mayas of the MayaTech Corporation, Paulina Orlikowski of Perspecta, Stacy Stacks of MSI and Steve Vetter of Cisco for their tireless dedication and collaboration with the association. The new members’ terms started on Jan. 1 and 53 members not up for re-election in 2020 will continue to serve the PSC board this year.